When a catheter is inserted into the human body, it irritates the urethral and bladder mucosa. This reduces the natural defense mechanism and provides an ideal surface for the growth of bacteria. The chances of getting a urinary tract infection from a catheter are high. 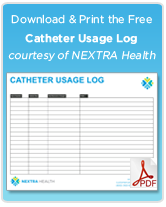 The risk of infection increases with the number of days the catheter is in place. Silver is an antimicrobial with a molecular structure that makes an effective means of destroying microorganisms. Multiple studies indicate that urethral catheters coated with hydrogel and silver salts reduce the risk of developing a urinary tract infection. These benefits apply to catheters coated with silver alloy on both the internal and external surfaces of the catheter. The catheter is not silver in color. The Health Care Infection Control Practices Advisory Committee has reviewed the various studies performed comparing silver-coated catheters to standard catheters. Their findings indicate that further research is needed on the effect of antimicrobial/antiseptic-impregnated catheters in reducing infections. There is growing evidence that catheter-associated urinary tract infections could be reduced by using silver-coated catheters. It is important to note that the best way to avoid urinary tract infections is to not have a catheter in place. 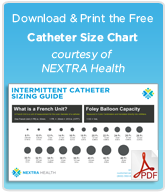 Before deciding to use a silver-coated catheter, discuss this issue with your physician.